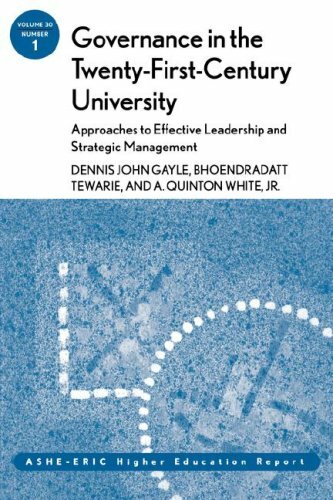 Explores approaches to effective leadership and strategic management in the twenty-first century university that recognize and respond to the perceptions and attitudes of university leaders toward institutional structures. It examines the differences between treating universities as businesses and managing universities in a businesslike manner, what kinds of leadership will best address challenges, and how to gain consensus among constituents that change is needed. From historical background to modern e-learning techniques, we look at governance to find systems that are effectively structured to balance the needs of students, educators, administrators, trustees, and legislators.